Although no titles changed hands this past Saturday at UFC 136, Joe Lauzon’s upset special over Melvin Guillard was enough to have gamblers salivating over the Octagon’s next set of investment options. Unfortunately for those seeking some more long shot lovin’, “UFC 137: St-Pierre vs. Condit” doesn’t go down for another couple of weeks. 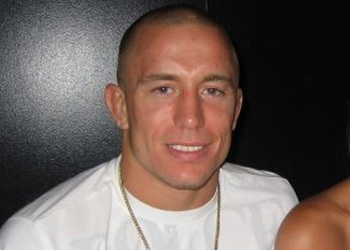 The highly-anticipated card features a welterweight title tilt between champion Georges St-Pierre (Pictured) and Carlos Condit. Just like in Lauzon’s case, Condit enters his fight as a significant -325 underdog. GSP, on the other hand, is a 4.5-to-1 favorite to retain his crown. The Mandalay Bay Events Center in Las Vegas, Nevada will host the October 29th event.